Unfortunately, not all victims of truck crashes survive. According to the Federal Motor Carrier Safety Administration (FMCSA), 3,744 people were killed in truck wrecks in 2014, with the vast majority being occupants of other motor vehicles. If a family member died due to a truck driver’s negligence, you may feel overwhelmed by the sudden changes to your life and the grief over your loved one. While it will not bring back your family member, you may be able to file a wrongful death action against the trucking company and truck driver. What Is a Wrongful Death Action in Texas? Surviving siblings are not allowed to file a wrongful death action in Texas, even if they are dependent on the victim for support. What Compensation Can You Obtain in a Wrongful Death Action? 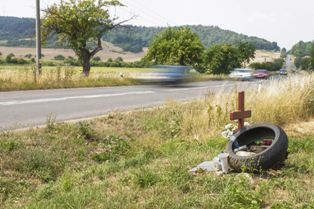 If a family member was killed as a result of a trucker’s negligent actions, let the experienced truck wreck attorneys at Hart Law Firm take over the burden of investigating the crash and negotiating your settlement so that you can focus on dealing with your grief and picking up the pieces of your life. Contact us online or call us directly at 817.380.4888 to schedule your free case evaluation.